I made this card for this weeks Impression Obsession Challenge to "Do the Polka... dot that is." Click here for more details. I think these Mermaids are so cute!!! You are right! You have made them totally cute and pretty too! It is so bright and cheerful and makes me feel like Summer! Wish it were here today. All rainy here. Thank you so much for playing and good luck in the drawing too! This is a totally Sweet Summer Card! 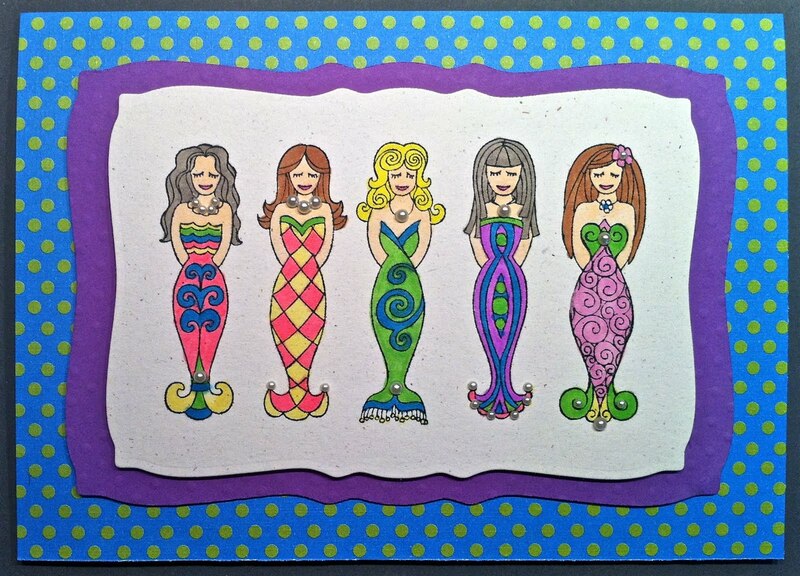 Love these fun mermaids!! Perfect for summer and just a bright and fun card, thanks for playing along with the IO challenge!! !